Youth Service at Lawrenceburg Rotary has been a long standing tradition. 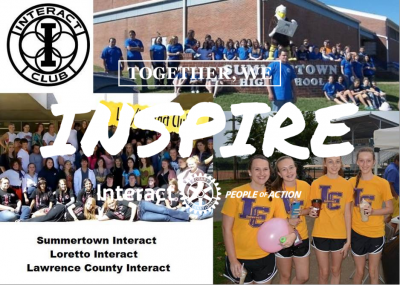 Lawrenceburg has sponsored Interact Clubs in our Community for over thirty years, and currently sponsors Interact at all three of the county's high schools. 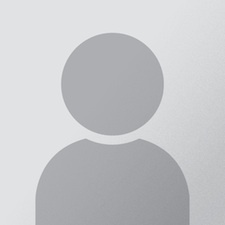 Lawrenceburg Rotary has sponsored Interact since its introduction into District 6760 in the late 1970's. 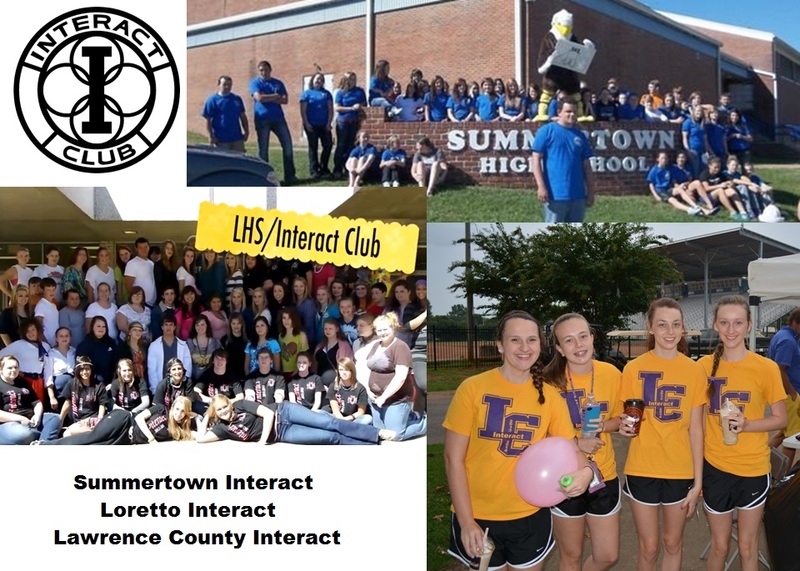 Our club sponsors Interact Clubs at Loretto, Summertown and Lawrence County High Schools, and all three clubs are active in their Interact District as well as local activities. Interact members volunteer their services at the Middle Tennessee District Fair and perform other projects throughout the year. Our Club provides funding to enable Interactors to participate in district activities..
Special events targeted at youth are a tradition at the fair. 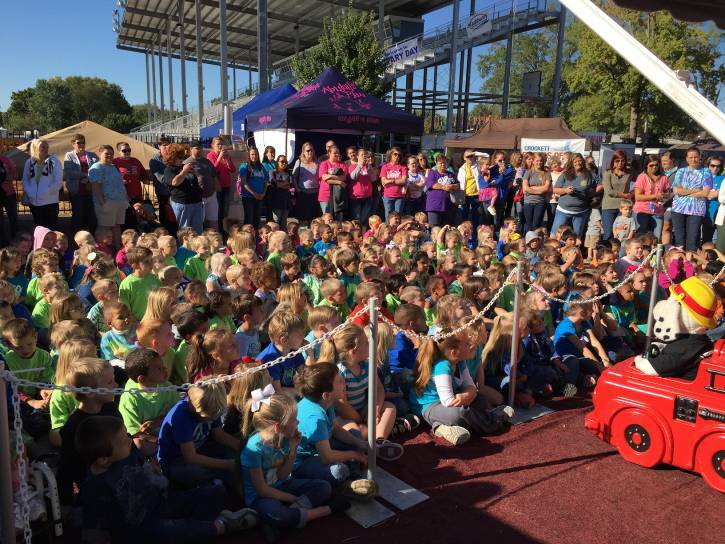 Dedicated tours for school groups are conducted during the day, and Friday is designated School Day at the Fair. School Day features organized field competitions and an afternoon give-away that features a laptop computer or other desirable prize. Lawrenceburg Rotary sponsors up to two students from each of our county’s three high schools (total of six) for the annual RYLA conference. The conference is usually held at Austin Peay State Univerisity and features numerous team building and other educational activities.